GOSPORT & FAREHAM are eyeing another big scalp when they welcome unbeaten London two south west leaders KCS Old Boys to Gosport Park. 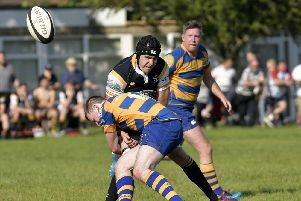 In their last home game, the Blue & Golds handed second-placed Farnham their first defeat of the season. George Hillan’s side lost 33-22 at Twickenham last weekend. 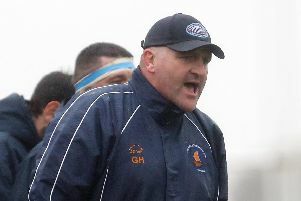 The senior coach wants his troops to be turn possession into points against Old Boys. He said: ‘At Twickenham we showed good physicality. Meanwhile, Fareham Heathens are looking to bounce back to winning ways against Eastleigh II at Cams Alders in Hampshire one. Dave Wheaton reckons the county league’s new set-up involving second and third teams of the senior sides has increased competitiveness. The head coach said: ‘Eastleigh's second team are a bit of an unknown quantity. ‘We have worked on our support play and decision-making this week. Things don't always go to plan on the pitch and this is where we need to box clever and come up with a solution. ‘This league is very competitive and I think the players are starting to realise this. Locksheath Pumas entertain Winchester II and hope to end a two-match losing streak.